Update (July 6, 2018): The Pest Management Strategic Plan for Tomato in the Southeast is complete! You can access the complete document by using the link above or visit the National IPM Center website and search the database. Many thanks to all of those who contributed to making this happen! 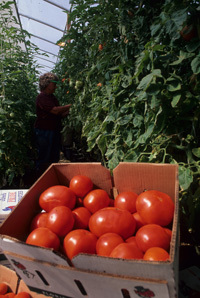 The Pest Management Strategic Plan (PMSP) for Tomato in the Southeast outlines priorities for research, regulation, and outreach to guide activities such as EPA registration of pesticides, government and other agencies allocation of funds for research, scientists in their research endeavors, and other activities related to solving pest management issues. The most recent version (2007) is critically out of date as practices and pests have changed since that time. Growers, industry representatives, specialists, regulators, and processors are strongly encouraged to participate in this event to update this important document. States included in this workshop: MS, AL, AR, GA, FL, SC, NC, TN, KY, VA, FL. Limited funding for growers is available upon request in order to encourage attendance. Contact Inga Meadows (inga_meadows@ncsu.edu) for more information. 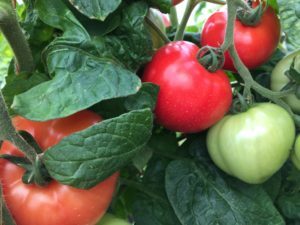 This is your chance to communicate to EPA, State and Federal regulators, and Extension Specialists about what you need to grow more tomatoes! This workshop is supported by the Southern IPM Center, Southeast Regional Fruit and Vegetable Conference, Arysta LifeScience, and Agdia.